Karen Hagemann is the James G. Kenan Distinguished Professor of History at the University of North Carolina at Chapel Hill. Her research focuses on Modern German and European history and gender history. Her most recent publications include Gender and the Long Postwar: The United States and the Two Germanys, 1945–1989 (ed. with Sonya Michel, 2014). Donna Harsch is Professor of History at Carnegie Mellon University. 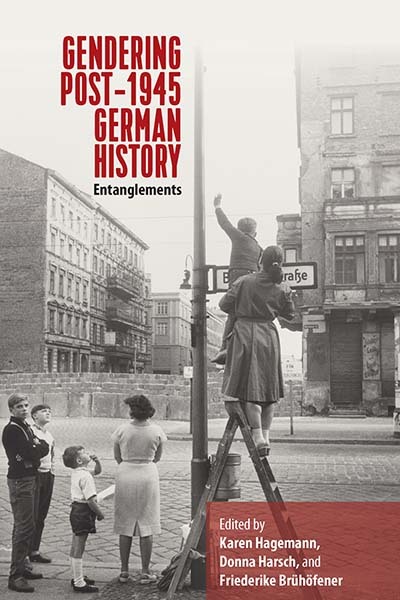 Her research focuses on the political and social historian of twentieth-century Germany. Her most recent publications include Revenge of the Domestic: Women, the Family, and Communism in the German Democratic Republic (2007). Friederike Brühöfener is Assistant Professor in the History Department at the University of Texas Rio Grande Valley. She is currently working on a comparative study on the development of military masculinities in East and West Germany.